Two weeks back, I met with a friend and we got talking about romantic relationships- not the types indulged in to pass time or for the fun of it; not even the trial and error kind, but one with the intention of holy matrimony. 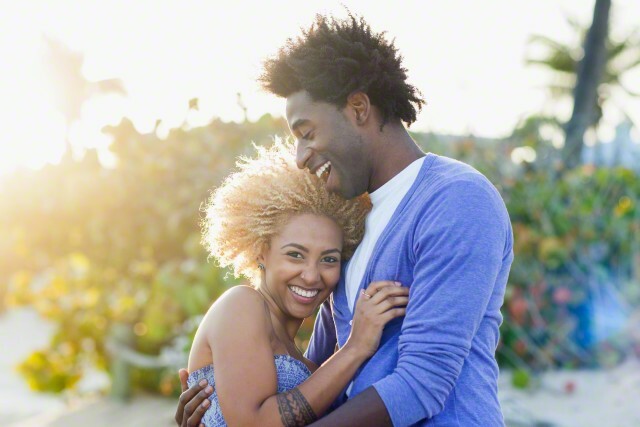 We both had experienced failed relationships- thus we shared our views on the future, what we really wanted, and what we should be looking for in a potential partner. To illustrate the importance of this, he made an impressive pictorial illustration- same as the scripture painted when Paul said on “…not being unequally yoked with an unbeliever“. 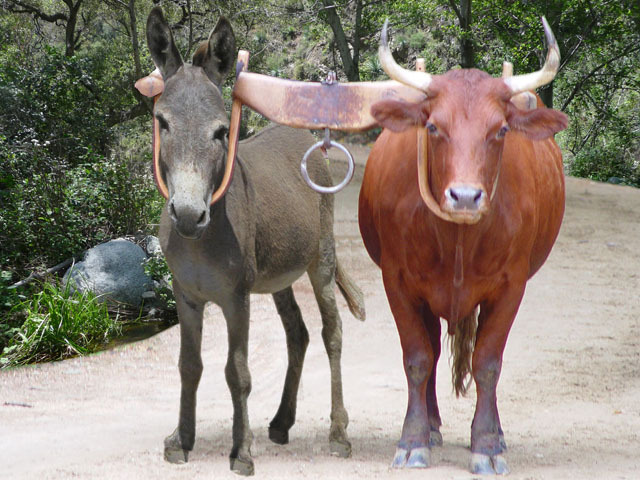 A yoked donkey and ox; instance of an unequally yoked animals. It is important to state here that that passage is not referring to marriage alone – which of course is the highest form of relationship/partnership that still exists, but is also referring to every form of partnership which includes business partnerships. Imagine yourself are in business with someone whose life is not guided by the scriptures; it is only a matter of time before they begin making decisions and taking actions that will put your faith into question. Anyways, back to being unequally yoked, I don’t know if you have ever witnessed two yoked oxen work, it is imperative that they must be of equal strength, equal size, united for the same purpose, so that they can bear the burden equally, walk together on the same path, otherwise they will be detrimental to each other and become a disadvantage to one other. One will drag the other down, one will bear almost all the burden and will both still not make any significant progress. Note that this is not about being a good person; this is about loving the will of God and subjecting your life to its dictate. I can state many instances of how a lot of issues that come up in marriages wouldn’t even see the light of day talk less of growing to the point of splitting a home if the couples involved subjected their lives to the principles of the Bible. Marriage is temporal and minute compared to an eternity in heaven. We all have heard tales of how one of the partners could not live their faith or how such partner dropped out of their purpose because they got married to an unbelieving partner. Would it not be rather beneficial to stay unmarried till you can ascertain the position of your intending mate before proceeding on a life long journey together? Mind you, the bible does not permit divorce, God expressly said He hates divorce. If you leave your partner on any grounds, then you must stay unmarried the rest of your life; otherwise you will be committing adultery by re-marrying, (Except for some extreme cases thought). You might argue that we have couples of different faiths living together peacefully, but I bet that they don’t cross each other’s paths on matters that relate to faith. They let each other be and they remain neutral on a lot of issues. How can two walk together except they be agreed? That is permitted only if you seek a marriage to just endure- making it will be impossible for both partners to work together pursuing heavenly and eternal causes. After all, there is no marriage in heaven, but the one here on earth affects our individual lives in heaven thereafter. Am I saying once this criterion is checked, then you are in for a hitch free marriage? Definitely not. There are so many factors that make a marriage happy and fruitful. However, this one influences almost every other in no small measure.